In this guide I’m comparing 5 different VPN providers to find out which is the best for the UK and look at what the remaining 4 offer if you’re after shopping around. 2016 became the year of headlines for the internet in the UK. From website blocks to nationwide logging of URL access in the Investigatory Powers Bill there were many changes that made a VPN essential to access a free and unrestricted internet on the shores of Britain. If you quickly search Google or any other search engine for a VPN suitable for the UK you’ll be inundated with thousands of different options and it’s hard to pick the good services in the sea of options. I’ve been testing a selection of the best VPN services to find out which is the Best for the UK in 2017 so you can make an informed purchasing decision before signing up. Without a doubt my first choice for Best VPN for the UK 2017 is IPVanish. This industry leader is our Editor’s Choice VPN for the second year running and with very good reason. IPVanish offers some of the fastest speeds in the industry and in our tests they’ve come top more times than not. There are 6 different VPN server locations across the UK in London, Manchester, Liverpool, Glasgow, Belfast and Nottingham. 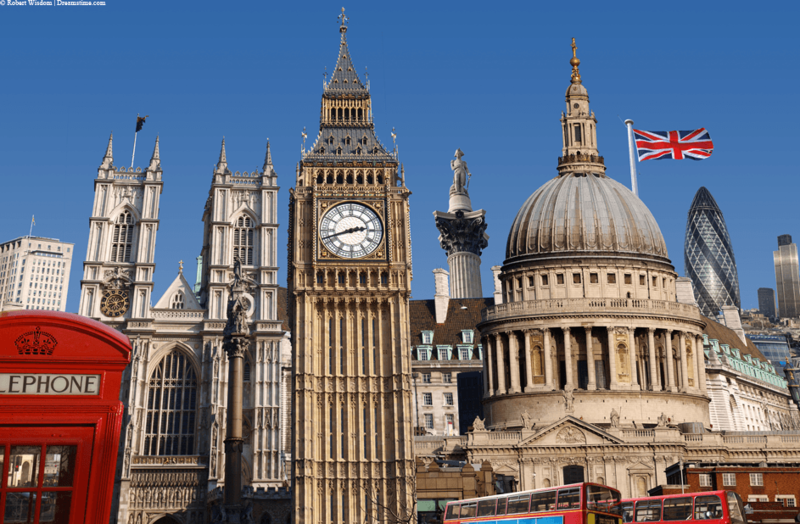 Many VPN providers just offer servers in London but IPVanish offers a range of locations allowing you to connect locally. A total of 48 different UK based VPN servers are available and with the software you can even select your favourite. Software is available for Windows and Mac and apps for Android and iOS. This makes connection really easy and anyone from the beginner to the expert can get connected and protect their online privacy. All the UK TV services are accessible through IPVanish and if you want to watch overseas content then the remaining 59 countries should have you well covered. ExpressVPN takes my number 2 spot in the search for the Best VPN for the UK 2017. There are VPN server options in 5 different locations in the UK including London, Berkshire, Chessington, Kent and Maidenhead. The selection is slightly fewer than IPVanish and they’re mainly concentrated in the south. These servers will be accessible from across the UK and you shouldn’t notice too much speed difference but if you want something a little more local then it might be worth considering IPVanish first. Software is available for Windows and Mac with the added bonus of a Linux client for Ubuntu. They also have apps available for both Android and iOS. ExpressVPN costs a bit more than IPVanish coming in at $8.32 per month compared with $6.49 from IPVanish so you’ll need to consider if their options are worth paying the higher price tag. If you’re looking to connect outside the UK then there are 86 other countries on top of the UK making them one of the biggest VPN providers around. Overplay take my third spot as Best VPN for the UK 2017. One of my favourite features of the Overplay service is it comes with a free SmartDNS feature as part of your subscription package. The service is as expensive as ExpressVPN but the SmartDNS feature goes some way to explain this higher price tag. SmartDNS allows you to stream TV content without the speed loss that a VPN would incur because there is no encryption and it’s sole purpose is to help you stream blocked TV services from the UK or overseas. Unfortunately there is only software for Windows and Mac and no apps are available for either Android or iOS. I hear these are in the works but as of yet there is no release date. It’s still possible to use the service on a mobile device until their apps are released but you’ll need to manually set this up so being of average technical skill would help. Overplay offers a 5 day money back guarantee which is shorter than IPVanish’s 7 day one and ExpressVPN’s mammoth 30 day one. 5 days is plenty of time to test the service and see if it’s suitable for your needs though. VPN.ac offer something a little different to the above three providers and are my fourth choice for Best VPN for the UK 2017. The service is slightly smaller than the three I’ve compared already but they still have 3 VPN servers located in the UK in London, Coventry and Portsmouth. In total across the service there are only 21 countries covered so in comparison to the previous providers they’re definitely a lot smaller. However, although VPN.ac are smaller they are a provider who concentrates largely on encryption and security. If privacy is your number one concern and you’re looking for advanced encryption options then VPN.ac is certainly a good starting place. They’re also one of the fastest VPN providers we’ve tested and compare with IPVanish in speed results. One of the benefits of being smaller is the price reflects this and a yearly service will set you back just $4.80 per month or about £3.89 at current rates. Software is available for Windows and Mac and apps for Android and iOS so the service is easy enough to use across the most popular devices. StrongVPN wraps up my selection of Best VPN for the UK 2017 options. If one of the above options hasn’t already taken your interest then it’s worth taking a look at StrongVPN. Like VPN.ac they’re smaller in size than the others with just 22 overall countries cover but the UK is well resourced. UK VPN servers are available in Canterbury, Livingston, London, Maidenhead, Manchester, Nottingham and Rugby giving you plenty of options. Software is available for Windows and Mac but it isn’t my favourite and while it’s easy enough to get connected the offerings from the other providers are so much more user-friendly. Apps are available for Android and iOS devices too so you’ll be able to protect your mobile connection and access geo-blocked content. StrongVPN costs just $5.83 per month if taking an annual package which is approximately £4.72 so it’s not going to break the bank. The VPN market is ever changing pace and when one provider is good one year it may be the case it isn’t the next. For 2017 my top provider for the UK is definitely IPVanish because they offer a better service than most at an affordable price and without a doubt they’re one of the fastest VPN services I’ve used which is always a bonus. If you don’t have time to be checking all the available choices then you should choose IPVanish but if you want to do a little research then it’s worth checking all 5 options listed and visiting each individual website to see what’s on offer. No matter which provider you end up choosing they’ll all be suitable for protecting your privacy and allowing you to access geo-blocked websites both in the UK and abroad. To take a look again at the available options see the table below. Christopher has been in the VPN industry for years and knows a thing or two about what makes a good VPN provider. He spends his days tinkering about with VPN services and keeping abreast of privacy topics to help you choose the best VPN service for your needs.